Sharp, the Japanese manufacturer is renowned for its high quality electronic products. Sharp is making a huge step forward to bring back its own market in the US with smart phones. It is supposed to be released on sprint and virgin mobiles with the colors black and white. 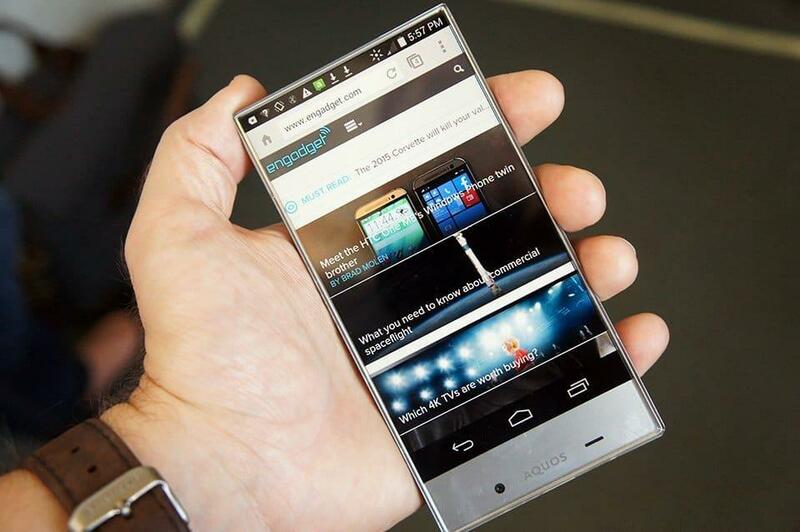 After a long time sharp unveiled its new smartphone Sharp Aquos Crystal which brings a surprise of bezel free display. 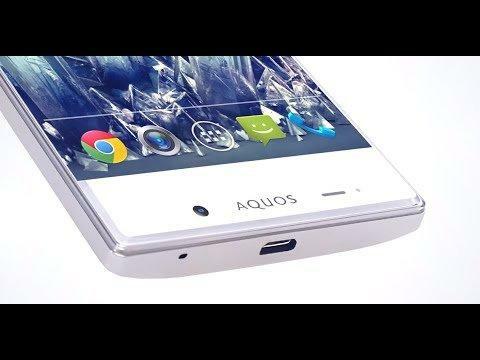 Sharp Aquos Crystal is a weird designed Smartphone. Sharp Aquos Crystal has a bezel free body which is the main highlight of the Smartphone. Even though they mentioned, it’s a bezel free smartphone it has a massive bezel at the rear end which makes it despicable. Sharp’s new Smartphone is better for watching high-resolution movies,pictures,and it is great as a viewfinder as a camera greatest disadvantage or con is you may hide the screen with your own hand as it has no bezel so you have no space to rest your fingers .Sharp Aquos Crystal has its selfie shooter at its bottom of the Smartphone it may create new users puzzled, the call speaker is built-in inside screen, when you listen to your friends or some others the screen vibrates as a call speaker. Looks like Sharp Aquos Crystal will have a different specification when compared to the Japanese variant. The Japan variants sports like a flagship device with 5.5” 1080p full HD display,2.3ghz Snapdragon 801, 2 gigabytes of ram,32 gigabytes of ROM with Android Kit Kat and 2,160 mAH battery . The Sharp Aquos Crystal US version is far different from Japan’s.The US version is a mid ranged Smartphone with a 5” with 720p display, Qualcomm Snapdragon 400 chipset, 1.5gigabytes of ram and 8GB of internal storage, 2040 mAh battery and Android Kit Kat. The Sharp’s Aquos Crystal hits the market with a bang with a new type of smartphone without a bezel. Sharp is trying to come front in US markets and there is no word about the availability in other nations. Sharp is marching towards the future of Smartphone with a larger speed.It is expected to release in other countries soon.